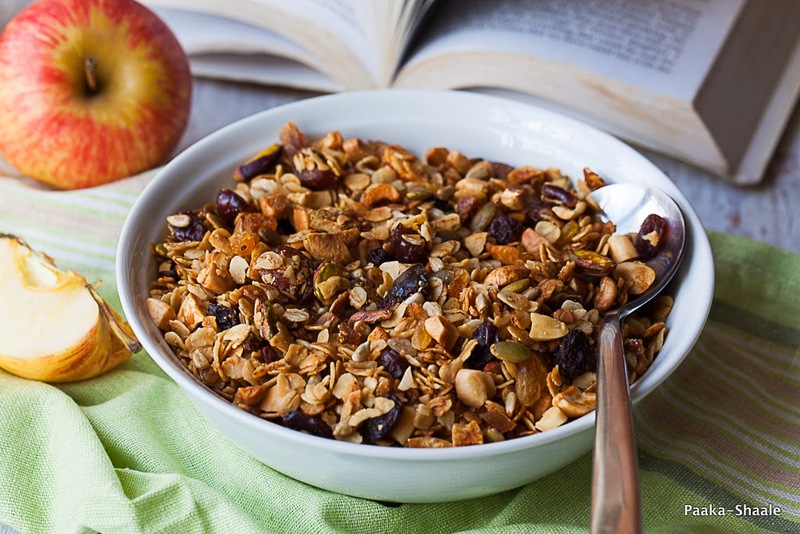 This granola is our new breakfast flavor. We just can't seem to get enough of it. If I reach out for this healthy mixture for breakfast, S reaches out for this as and when he pleases. He says it just tastes great as a snack. I can't tell you how gratifying it feels when S says that. I have been making granola for quite some time now. Earlier, I used to make this granola for a long time. But after I moved to Nairobi, I came across Barley flakes. 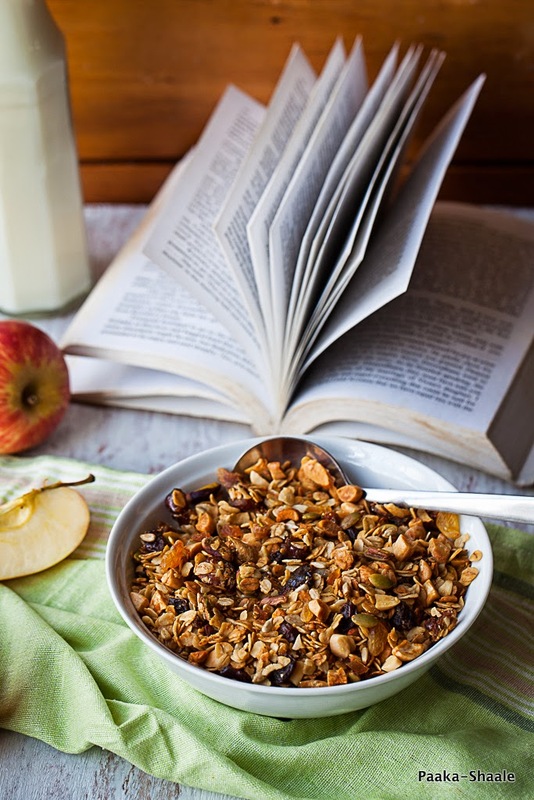 That was when I decided to experiment more with Granola. I have experimented a lot with different flavors and nuts before coming to this recipe. This mixture is something that S said was the best. 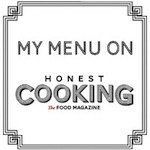 Although this recipe is great, it is not a hard and fast recipe. This is more like a template that can be customized in a hundred different ways to suit your tastes. This granola is crunchy. Very crunchy. If you have this for breakfast with some fresh fruit and milk/yogurt then you are sure to be satisfied for a long long time. In a large bowl, combine the ingredients from oats to salt and mix well. In another small bowl, combine the honey, oil and vanilla and mix till well blended. Line a baking sheet with Parchment paper and spread the mixture in an even layer and bake in a preheated oven at 180C for 30-40min or until golden brown, stirring every ten minutes. 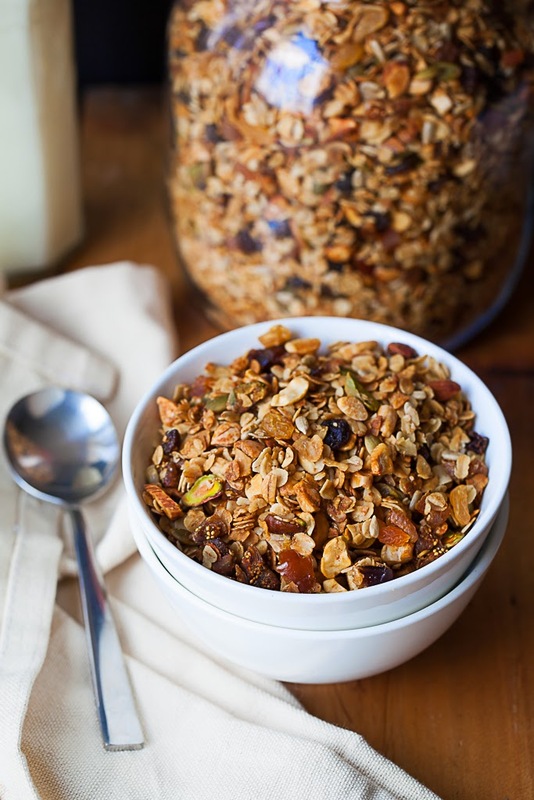 Allow the granola to cool down slightly before stirring in the dried fruit. Let the mixture cool completely before storing in airtight containers. 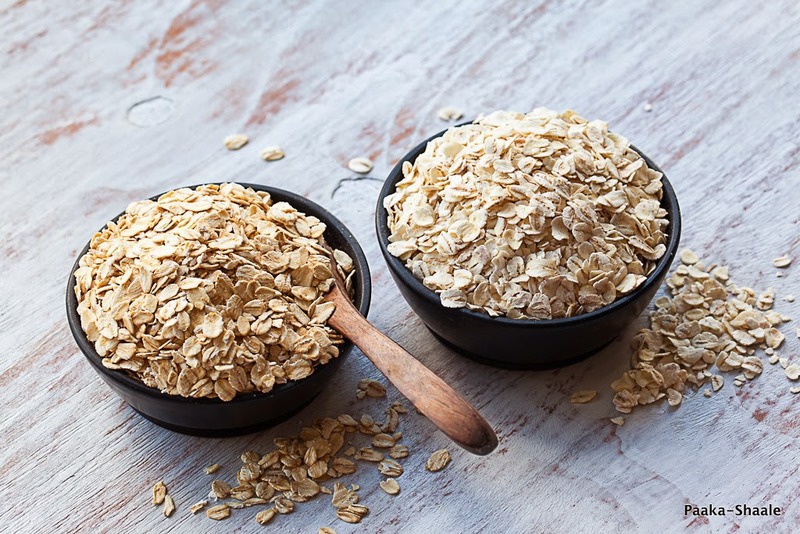 If barley flakes are not available then substitute with wheat flakes or equal measure of oats. Make sure to use old fashioned oats. 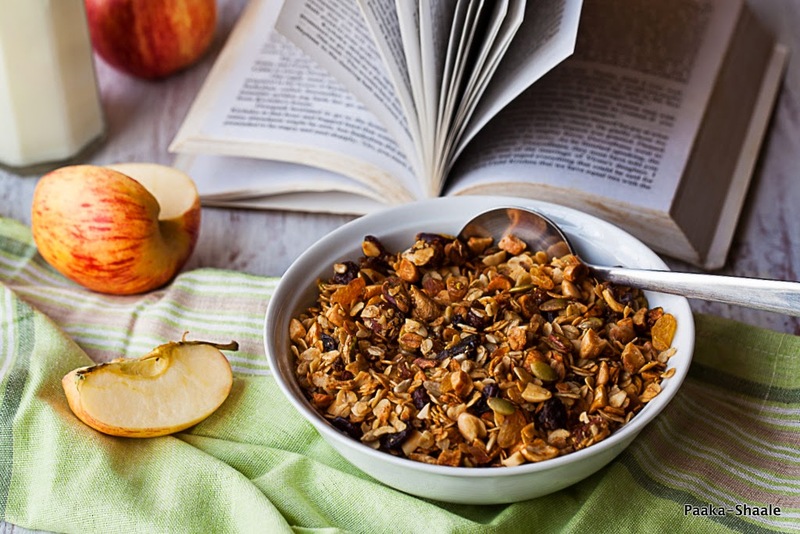 Quick cooking oats destroys the texture of the granola. You can spice up the granola with spices like cinnamon or cardamom powders. If you prefer chunky and clumpy granola then do not mix the granola while baking. Press the wet mixture with the back of the spatula before baking. 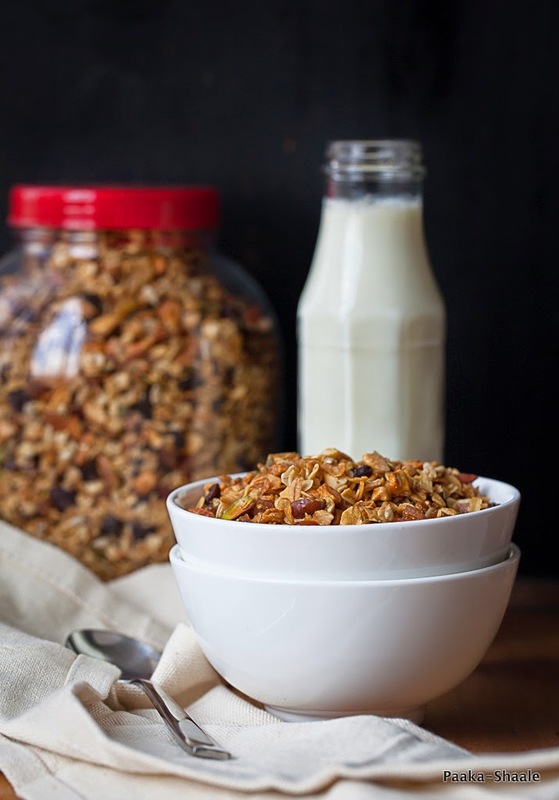 After baking, the granola can be removed from the pan in chunks and stored in airtight containers. 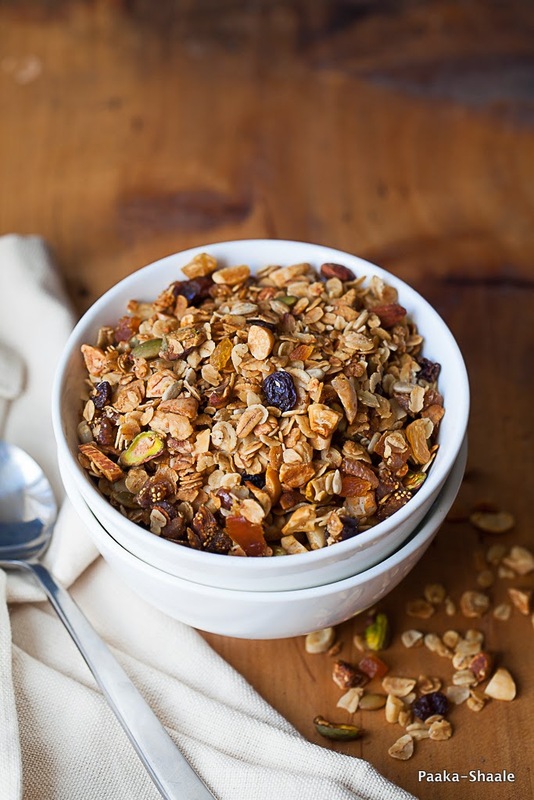 You can add orange zest to the granola if you prefer some citrus flavor. Make sure that the nuts are not toasted too much as they can burn while baking. That is one healthy mix of ingredients. Lovely clicks. A beautiful granola! It looks really appetizing and delicious. this is just perfect for the weather. lovely clicks as always. I recently made a similar one, but instead of barley flakes it was puffed millet. You reminded me I need to post it on my blog soon. I love every click here. Its beautiful and crisp! Healthy and delicious! Always love your gorgeous photos..
Hi, can you tell me what brands you use and where i can get them from in Nairobi?